Two cool ideas today from Platte City Club President, Tom Rycezk, President-Elect Kevin Humiston, and Immediate Past President Craig Bennett. After participating in Club Long Range Planning several years ago under then-President Kelly Parkhurst, the Platte City Rotary Club organized an Interact Club with 40 students at the chartering. Today, these students help with many club activities including helping with a local food drive. Rotary and Interact club members stand outside their local Price Chopper and handout lists of needed food to the people entering the store. When people exit, they give the food they have just purchased to the Rotary Club for distribution from the food bank. 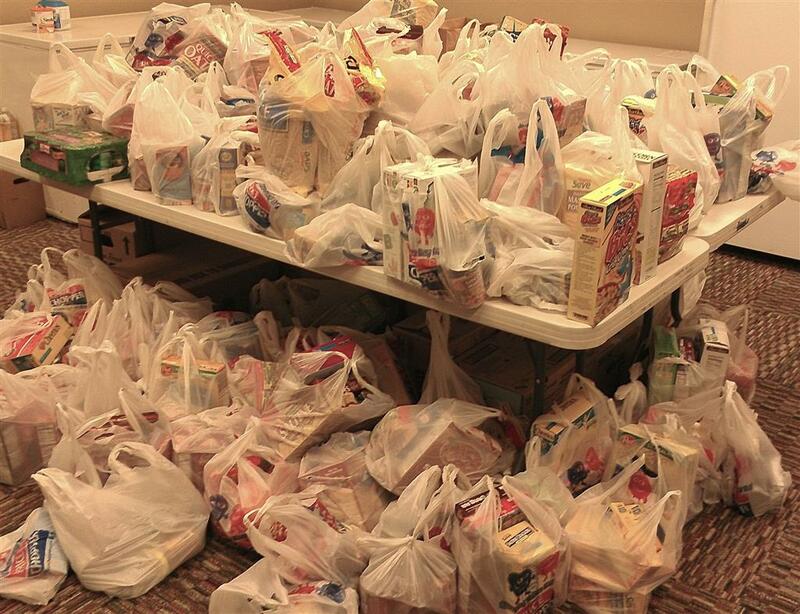 The picture shows the results of one food drive collection. Another great youth activity is Fifth Quarter. During the fall, local groups sponsor a Fifth Quarter gathering for high school students after the football game. Rotary takes a turn in sponsoring the event and providing the food.